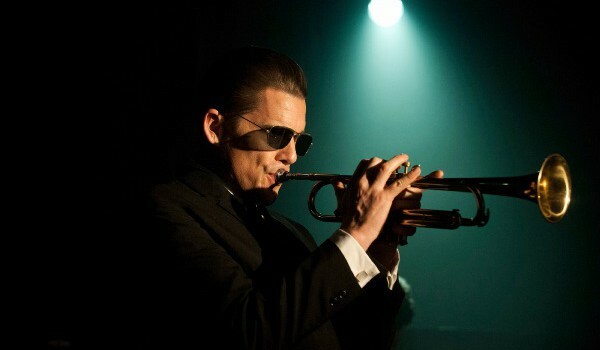 When all the pieces of Robert Budreau’s Chet Baker biopic Born to be Blue came together, he was looking at a October/November 2014 shoot in Sudbury to accommodate the schedule of star Ethan Hawke. The challenge? The film is set in 1960s Los Angeles – meaning the production design team had to get creative. To give the streets of Sudbury a more L.A. feel, production designer Adrian Leroux created a set of fake palm trees that could be carted around from set to set, said Budreau. Much of the script of Born to be Blue also called for interior shots, and the crew decorated Sudbury bars, bowling alleys and music clubs with 1950s and 1960s paraphernalia sourced from antique shops to recreate the venues Baker would have performed at in L.A.
“When you think about it, shooting 1960s Los Angeles in Sudbury in November makes no sense, but because you’re inside it doesn’t really matter,” Budreau said, adding that final batch of exterior shots were done in L.A. in December. Along with financing from the Northern Ontario Heritage Fund, Born to be Blue, which was shot on a budget of under $10 million, received funding from Telefilm Canada and the Ontario Media Development Corporation. The production companies attached to Born to be Blue include Budreau’s Lumanity Productions shingle, along with New Real Films and Black Hangar Studios, with Entertainment One already on board to distribute the film in Canada and K5 International acting as an international sales rep. 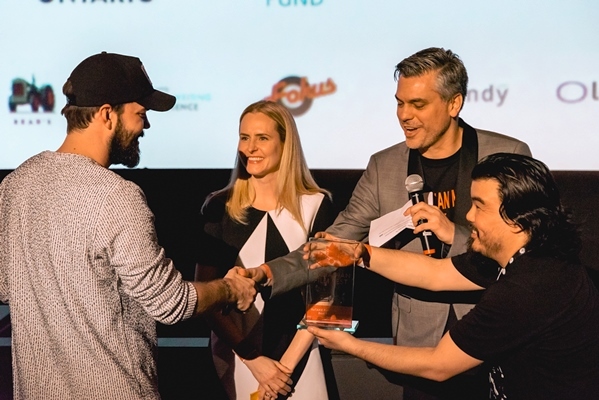 While the filmmakers hope to land a U.S. distribution deal at TIFF, getting Born to be Blue to camera was a years-in-the-making success story for Budreau, who spent the past three or four years fine-tuning the script and putting the financing together. One of his first projects out of film school was a short about 1940s jazz, and he was keen to do another music project. When he learned more about Chet Baker, he found the comeback element to Baker’s life appealing. “It fit within the types of stories I was already telling about flawed, male protagonists seeking redemption. A lot of my other movies have dealt with that and it fit within that framework,” Budreau told Playback Daily. 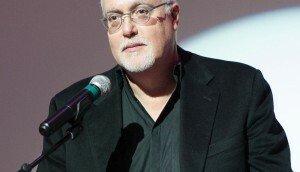 As such, he brought the project to the OMDC’s Toronto Producers’ Lab in 2010, where he met Jennifer Jonas of Toronto’s New Real Films. Later on, Budreau got Jonas and her partner Leonard Farlinger on board. “Len and Jen at New Real have a history of doing music projects and have a history of doing auteur-like projects, so I thought creatively they would be a really good fit. 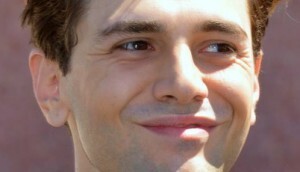 And I know Jennifer in particular has been adept at accessing soft money in Canada,” Budreau said. He then brought on U.K. partner Jack Seal of Black Hangar Studios, a move that helped the project open up casting options while it was searching for a female lead to star alongside Hawke, Budreau said. The filmmakers were specifically looking for a mixed-race or black actor take the lead female role, Budreau said, and having a U.K. partner on board meant the project had access to more actors that fit that profile (U.K.-born actress Carmen Ejogo was eventually cast in the role). While Hawke only boarded the project in the spring of 2014, his participation was key in making Born to be Blue a reality, Burdeau said. “Because it’s…a reimagining about Chet Baker’s life, it’s obviously a performance-based, critical role so getting someone like Ethan was an absolute mandate. It was critical for both finance and creative,” Budreau said.